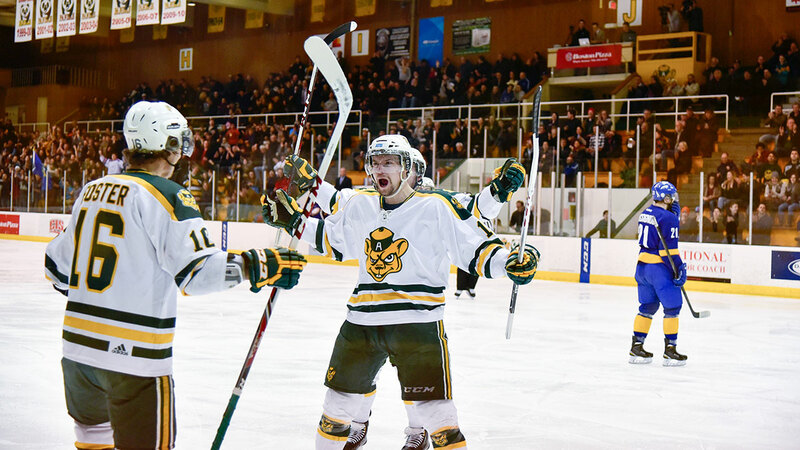 The Golden Bears and Pandas hockey teams have punched their tickets to the playoffs with strong finishes to their respective seasons this weekend. After facing their fair share of struggles since the turn of the New Year, the Bears pulled themselves together at the right time, sweeping the Mount Royal Cougars in a home-and-home series and clinching second place in the Canada West standings. 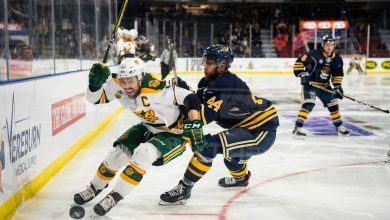 A few weeks ago, the Bears were swept at the hands of the Calgary Dinos and faced the daunting task of having to beat the first placed Saskatchewan Huskies and the Cougars in the final two weekends of the season to earn a bye through the first round of the playoffs. After taking both games against the Huskies, the Bears pulled themselves to within one point of the Cougars for second place in the standings. On Friday, they travelled to Calgary with the Cougars, looking to clinch a first-round bye with a victory. Alberta and Mount Royal exchanged goals in the first half of the game, but 10 minutes into the second period, the Bears exploded for five goals, giving themselves a commanding 7-2 lead. The Cougars added a couple more in the third period, but it wasn’t enough to climb back, as the Bears ultimately won the game by a score of 8-2. On Saturday, the teams travelled to Clare Drake arena for the final game of the season. The Bears grabbed the lead with a power play goal in the first period, and rode it all the way to the finish line, eventually earning a 2-0 shutout. With the win, the Bears finish the season with a 19-7-2 record, good for second place in the conference. 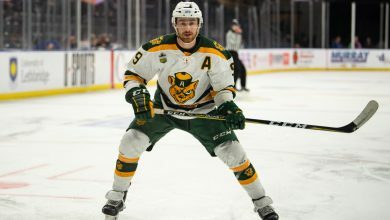 It also means that the Bears have earned an automatic bye past the first round of the playoffs and gained home ice advantage in the Canada West semifinals. The Pandas also came into their season finale with major playoff implications at stake. Heading into the weekend, the Pandas were right in the middle of a logjam in the standings, as they were just two points behind the UBC Thunderbirds for first place in Canada West, but the Regina Cougars were also hot on their heels. The Pandas travelled to Calgary on Friday to face the lowly Mount Royal Cougars, and earned a commanding 4-0 victory. Saturday’s game was more of the same as the teams squared off at Clare Drake arena. The Pandas grabbed a lead in the second period and didn’t need anything else the rest of the way, as they earned a second consecutive shutout. The Pandas also needed some help from the Manitoba Bisons in order to catch the Thunderbirds for first place. On Friday, UBC earned a 4-2 win in Manitoba, but on Saturday, the Bisons answered back with a 4-3 victory. As a result, the Pandas finish the season with the best record in Canada West and will have a bye through the first round of the playoffs and home ice advantage the entire way. With tonight's 1-0 win vs @MRUWomensHockey we clinch 1st place and home ice advantage for playoffs! !